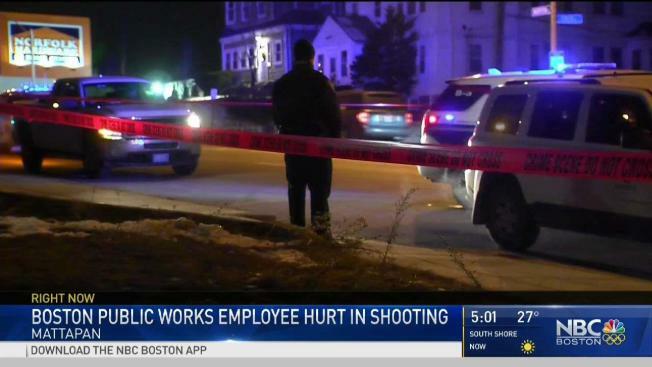 The victim, Department of Public Works employee Alexander Allen, 54, was transported to Brigham and Women's Hospital with non-life-threatening injuries and is expected to be OK.
Boston police said a city worker was shot in the leg while sitting in his car in Mattapan early Thursday morning. The shooting occurred around 5:15 a.m. in the area of Morton Street, police said. Allen's DPW vehicle was sectioned off with crime scene tape at the corner of Morton and Fuller streets Thursday morning. 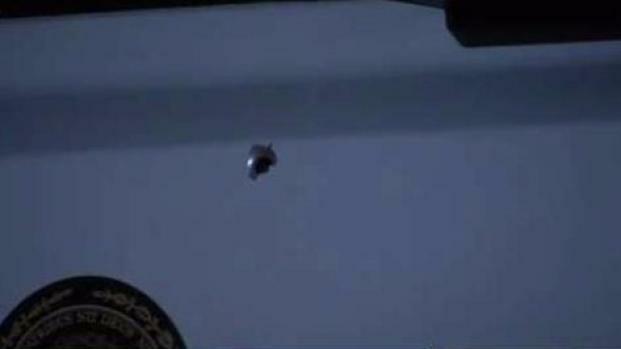 The vehicle had multiple bullet holes in it and a blown-out window. Boston police responded Thursday morning to a shooting in the city's Mattapan neighborhood. The shooting happened in a busy area of Mattapan and caused traffic back ups, especially on Manchester and Norton streets. "It's horrible that kids have to wake up and see stuff like that going on," neighbor Diamond Romano said. The shooting remains under investigation, and police said it does not appear to be a random incident. Scare details have left neighbors like Manuel Pires concerned. "This place is always quiet," he said. "Its like night and day—that’s the sound of day and night all the same." One of Allen's family members said Thursday afternoon that Allen was undergoing surgery and that his wife is with him.